Leaders of Hotel Revenue, Pricing & Distribution for hotels in Asia Pacific meet up a few times per year to discuss the trends in hotel distribution, digital, business intelligence, technology, pricing strategies, forecasting and metrics. 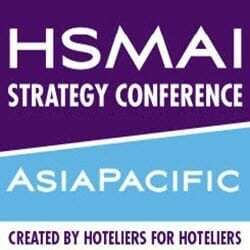 This group of leaders volunteer with HSMAI to create and deliver all types of learning for all hoteliers in Asia Pacific. If you lead these functions in your hotel company and wish to be invited, please Contact Us.